The Indoor Pet Potty has to be the best invention. I have been using wee wee pads for years. I have 2 small dogs and my Yorkshire Terrier is 14 now. She needs to go to the bathroom very frequently and has accidents the past few months. I only would put down a pad at night but now need to put them down all day long. The Potty Patch is perfect. When my dog go outside they always look for grass to go on. I thought this would be a great idea for them to try. 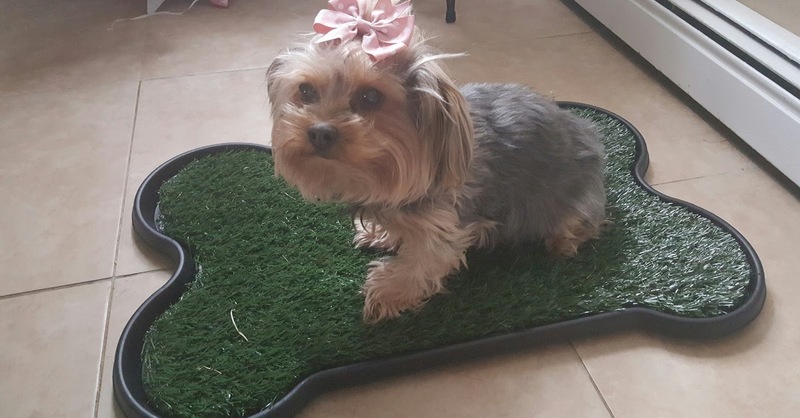 It took my Yorkie a little training for one week. She now is going only on the potty patch. 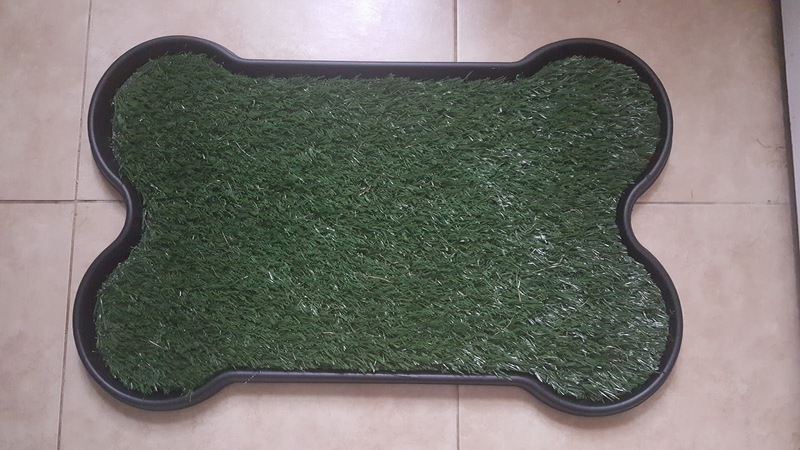 It is artificial grass that sits inside a rubber fit that holds the urine. 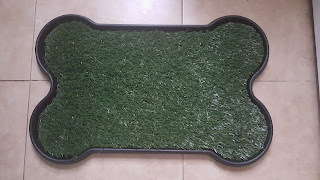 It does not smell and the urine passes through the grass down to the tray. 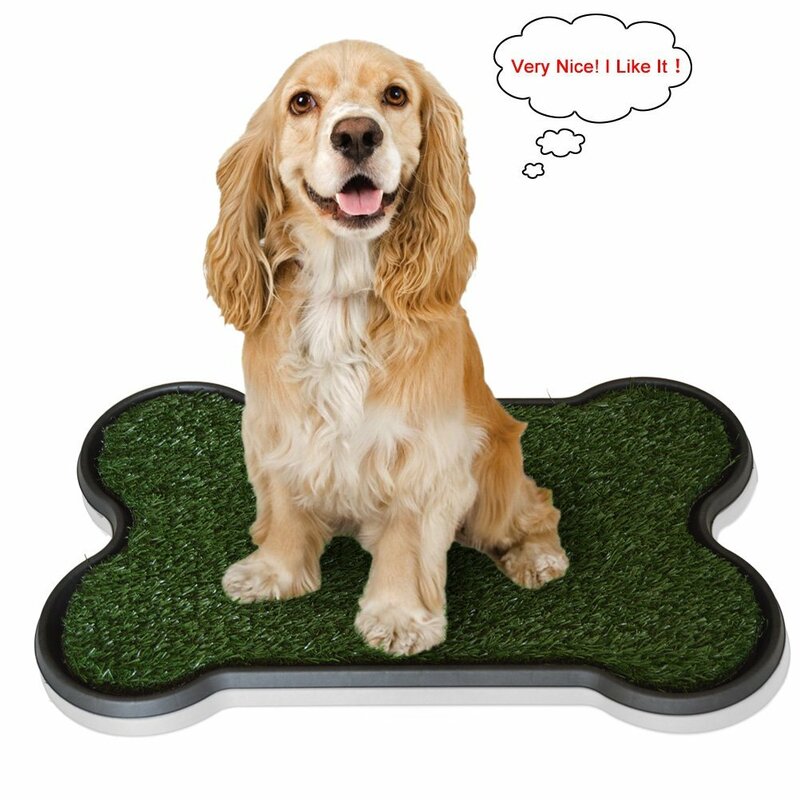 It measures 17"x27"x2" which is a great size for small dogs. It now will save me on the cost of wee wee pads and all I have to do is rinse out both once a day. Easily cleanable, I use my hose outside to clean. It is much more attractive then a pad also. I have it placed in my kitchen. Very happy !! I received this Pet Potty Patch complimentary in exchange for my unbiased review and opinion. All opinions and words are my own.